Welcome to our November Blog Hop. 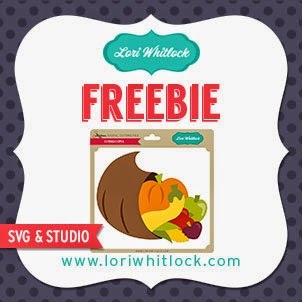 You should have arrived here from Lori's blog where you can pic up this fun freebie and enter to win a $15 gift card! 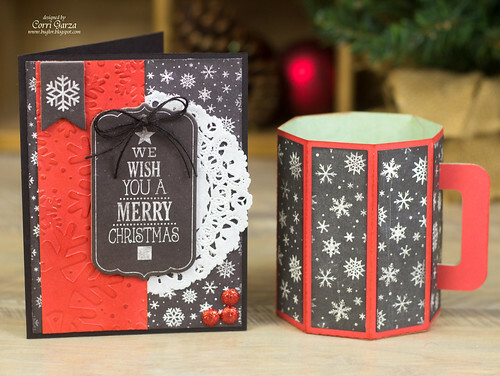 I have fun gift set to share today made with the Christmas Cheer Collection from Echo Park. You can find this adorable 3d Mug in the Silhouette Store. Fill this mug with a package of hot chocolate, some marshmallows and a candy cane for a fun gift. I used some paper and chipboard stickers from the collection to make a matching card. Now is a great time to stock up on files! 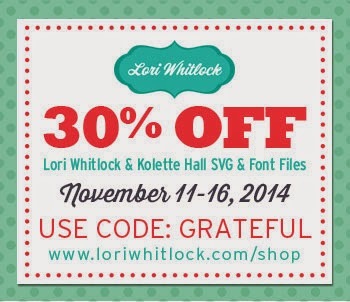 Lori is having a sale on her SVG files. 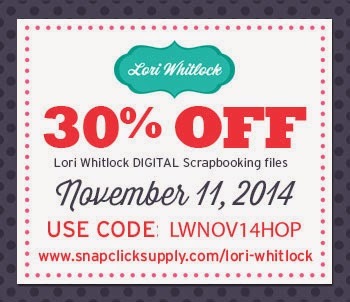 You can also save on digital files at Snap Click Supply. Thanks so much for stopping by! Your next stop is Mendi. Corri, love, love, love this!!!! What a way to start off the hop! How sweet is this!! !...Love it! I love how these turned out! I really like the black and red color scheme you used. Great work! Wow, that is stunning. Awesome example of what Lori Whitlock files make.